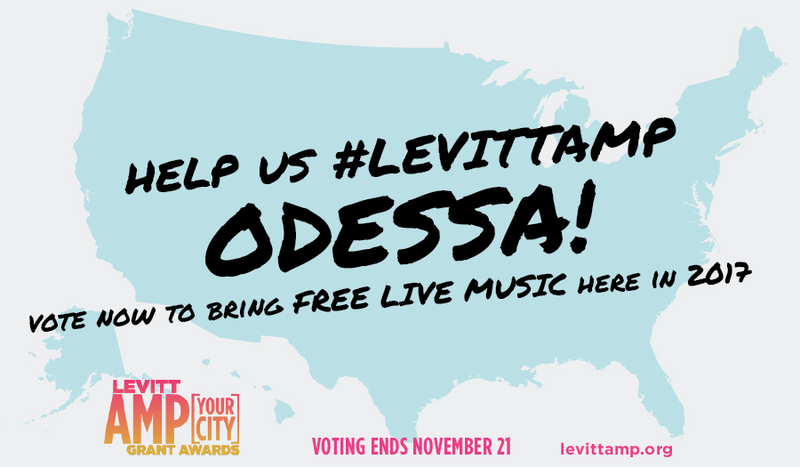 Odessa Arts and Downtown Odessa, Inc. are pleased to announce that Hot Summer Nights has been selected as a finalist for the Levitt AMP Grant, which will award an additional $25,000 to expand Hot Summer Nights from an 8 concert series to a 10 concert series for the 2017 season. Sponsored by the Mortimer & Mimi Levitt Foundation, a national foundation dedicated to strengthening the social fabric of America through free live music, OA and DOI hope to qualify as one of 15 winning organizations competing in the Levitt AMP [Your City] Grant Awards. The Levitt AMP [Your City] Grant Awards are an exciting matching grant opportunity created by the Levitt Foundation to serve small to mid-sized towns and cities with populations up to 400,000. Up to fifteen nonprofits will receive $25,000 each in matching funds to produce their own Levitt AMP Music Series—an outdoor, free concert series featuring a diverse lineup of professional musicians. 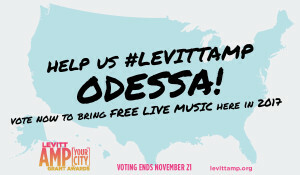 A successful campaign for Odessa depends on community participation to get as many online votes as possible to bring the concert series to town. Community support, as measured by the number of online votes received, will be one of the key factors when the Levitt Foundation selects up to 15 winners. OA and DOI asks supporters to start spreading the word to family, friends, colleagues and neighbors and rally the community to sign up and vote for Odessa’s proposal.